Ten years working as a creative in the digital OOH industry has allowed me to champion creative excellence and more intelligent ways of using such a potentially rich channel. There have been creative breakthroughs during my ten years from developing appropriate use of full motion animation, multi-panel installations forcing us to think beyond the single screen, subtle motion regulations challenging us to create a new tier of animation. And there are still more techniques to promote. One of those techniques allows for targeted and relevant advertising copy without necessarily building a real time, responsive dynamic campaign. Whilst brands want richer, more contextual creative, dynamic campaigns are often prohibitive due to long lead times and higher costs. However, with some small tweaks and a little effort, linear ads can also be smart and contextual - they can be ‘smart’ linear as it were. Before I go into details, I want to point out that smart linear is still a linear campaign. No flash files, media owner testing or live feeds needed. It’s just a smarter type of linear. Pre-determined data can include time of day (morning/lunch/evening), days of the week, specific events and location. Integrating data will multiply the files you need to deliver, but with clear scheduling instructions and media owner assistance, you can create a contextual campaign without the need for live updates. For the Warner Bros. campaign The Legend Of Tarzan, the team at Grand Visual created specific morning, daytime and nighttime versions, each with their own trailer cut and creative that related to the time of day. This simple dayparting elevated the campaign creative above the other film releases at the time. Sometimes smart linear demands scale to make the most of the opportunity: by combining time of day and location, last year’s TSB Local ended up with 120 variations (40 cities each with a morning, daytime and evening creative). With some intelligent production techniques, this can be a more cost and time-effective solution than dynamic content. For projects or clients with smaller budgets, smart linear campaigns deliver impactful creative. 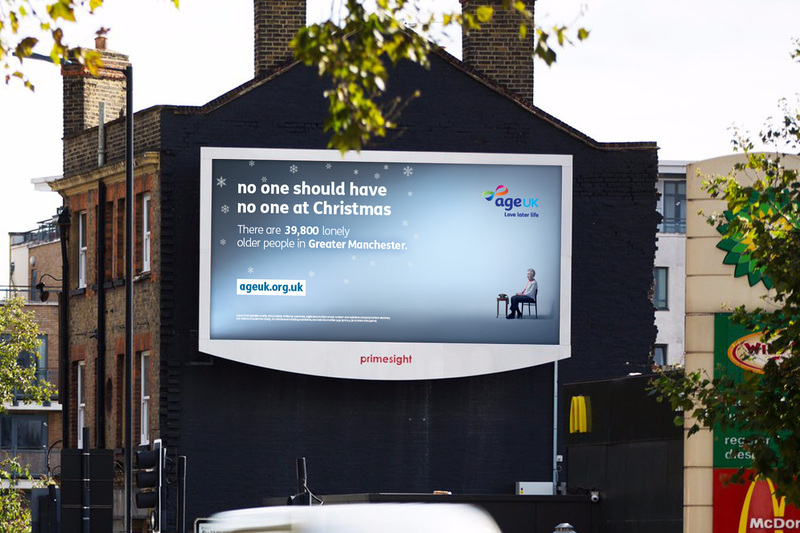 Last Christmas, Age UK wanted to raise awareness about loneliness amongst older people in communities across the UK. We did this by creating multiple files which featured figures of those at risk of loneliness in the local area. Through the use of smart linear, Age UK was able to reach a national audience with locally relevant messaging - making their media and creative budgets work harder.. These examples demonstrate how smart linear can be an effective weapon within the DOOH armoury. Costs are less prohibitive (no developers, QA or media owner testing) and it means richer, more targeted adverts across the board. I believe that to ensure a rich and engaging experiences we should focus on making campaigns smarter as standard, taking full advantage of our digital opportunity.